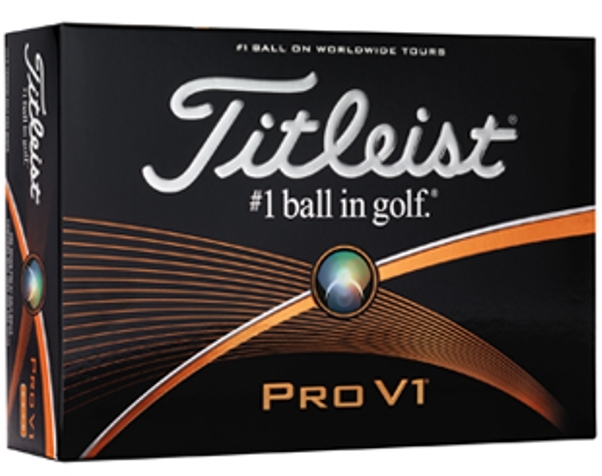 Titleist ProV1 golf balls are finest brand name. Associate ProV1 for your logo brand. Features are Titleist name, high lift for distance, soft feel & cut proof durability. Packaged 3 balls to a sleeve, 4 sleeves to a box. MUST order whole dozens. Promotional Tip: Keep some at your office for visiting customer gifts. Four day rush production is available. Price includes a 1 or 2 color imprint on one golf ball pole in an area 7/8" diameter. Additional pole imprinted add a plate & run charge of $3.00 each box. Logos do require Illustrator ai, eps or pdf factory ready art file.